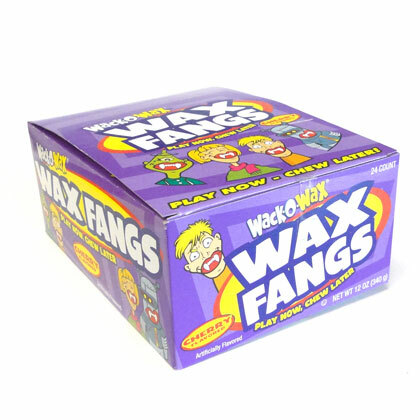 Wax fangs in cherry flavor. 24 ct box. Approx. .5 oz each.